The experts have us believe that procrastination is an internal thing. Yes, it is, most of the time. 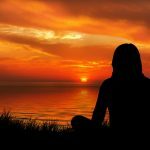 It has something to do with self-doubt, lack of confidence or conditioning – simply not wanting to go through an unpleasant experience again. However, sometimes our tendency to procrastinate is contributed by the people we are surrounded with – people who like to procrastinate. Or we are in a group where procrastination is accepted. Everybody procrastinates and we are encouraged to do that. This group have us believe that procrastination is not a sin. Trying to overcome procrastination or doing stuff immediately can be equated with haste or impatience. What’s the hurry to do that now? Can’t you be patient? In his book, How to Save an Hour Every Day Michael Heppell tells his experience of meeting a man called David Bell who was supposed to help him start a business. Bell suggested that Heppell met someone who had just started an Internet business to get some ideas. When Heppell agreed, Bell called the person immediately and set up an appointment. He even handed the phone to Heppell so that he could arrange a suitable time for the meeting. Then Heppell asked Bell if he had read a particular article. When Heppell replied in the negative, Bell immediately had his assistant photocopy the article and passed it to Heppell. Heppell came away from the meeting truly inspired by the do-it-now guy and shared this experience with his friends. He had met a person who didn’t seem to have a piling to-do-list. He settled a task immediately when it beckoned. If you’re procrastinating working on your writing projects, seek out a person who who finishes tasks immediately and borrow the do-it-now spirit from him. If you can’t find someone suitable, well, you have to borrow the do-it-now spirit from yourself. What do you do without delaying? Pay bills? Check your email first thing in the morning. Reply your phone messages? 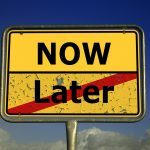 Can you transfer the do-it-now spirit to writing? You can. Heppell used this trick when he felt like procrastinating. He kept repeating it until he did the thing he was supposed to do. Why not try repeating the mantra until you feel guilty of avoiding a task and start doing it immediately. If Heppell could use this simple trick to beat procrastination, so can you. Simple tricks like this are the best way to beat procrastination without much effort on your part. What’s the Best Anti-Procrastination Strategy to Get the Most Out of Your Writing Time and Write Productively? Are you clueless when procrastination confronts you when it’s time to write? Do you just give up and avoid writing or just postpone it to an unspecified time? Alternatively, do you make a serious attempt to write while struggling with procrastination but find yourself fighting a losing battle each time? Does frustration and disillusionment rule your writing day as a result of low or zero productivity born of procrastination? If so, it’s time to take stock of things. What may be contributing to your problem is the lack of an effective strategy. Most writers, including me at one time, try to handle procrastination by bulldozing their way through it stubbornly. We apply the seat of our pants to the chair and start writing away. We set deadlines in the hope that it will keep procrastination away. Despite these measures, we find ourselves procrastinating when it comes to the next writing session. Just when we thought that we have tamed the enemy, it rears its ugly head again and again, looking even mightier. 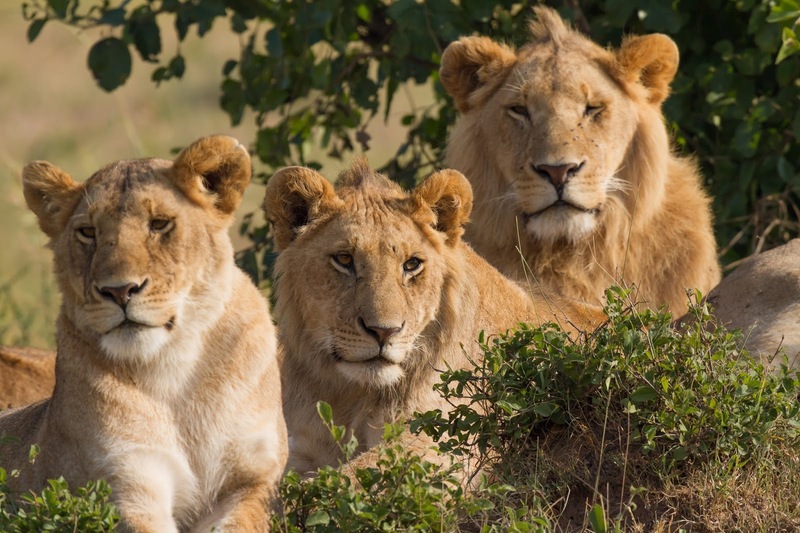 Its roar frightens us and we shy away from writing as if its red-hot iron not to be touched..
Over the years I have thought hard about a battle plan I could use against procrastination whereby I could emerge unscathed. Finally, after many trial and errors I found that procrastination could effectively be leashed by the use of deceit and trickery instead of taking it head on. I created some tricks of my own to outwit procrastination and put them to test. Some worked and some didn’t. What I learned from this exercise is I can’t rely on a few tricks alone to keep procrastination at bay. I needed a bagful of tricks to arm myself against procrastination’s attack in case the ones I have don’t really work on a particular day. This is when I started researching tricks used by other writers and started collecting them and testing them out. Some worked really well and I decided to make them my priority weapons against procrastination. If you feel you’re the only writer out there fighting a battle with procrastination, take heart. Every writer faces the problem, not matter how experienced he or she is, although many would not care or dare to admit. Procrastination should not be really considered as a sin to be avoided. You ought to treat it more like an occupational hazard. When we procrastinate on such simple matters as cleaning our room or posting a letter, why can’t writing which involves real work roll out the red carpet to procrastination? In the course of my research, I became interested in how prolific writers manage to produce day in and day out without procrastination troubling them. I stumbled upon the tricks used by Ryoki Inoue, a Brazilian writer recognized as the world’s most prolific writer, having written over a thousand books. One of the tricks he used to write is relying on his first inspiration without worrying about where it takes him. What this means is he doesn’t wait when an idea hits him. When it’s red hot, he starts writing although he’s not sure of his final destination or where the writing would take him. With such an approach to writing, will procrastination dare go near him? Other writers would start considering whether the idea is good enough or not and then as they start doing it they may hear a voice saying it would not amount to anything. This would naturally throw them into the procrastination mode. When procrastination stares you in the face and you feel helpless, follow in Ryoki Inoue’s footsteps and write without worrying where the writing will take you or whether it would be any good. Make it a habit of doing that. What I also learned from my exploration is the most productive and prolific writers like Ryoki Inoue use simple tricks to beat procrastination and get their words flowing. I have compiled the best tricks to beat procrastination into a book, 30 Deadly Anti-Procrastination Tricks to Rescue The Stalling Writer : Sneaky Mind Games and Sly Action Plan to Overpower Writing Resistance and Get Your Words Flowing. I have used successfully them to beat procrastination while living by my pen for the past 27 years. Do check out the book. You have thirty tricks to try out for a whole month and not leave home without the ones that really click with you..
After reading the book, you’ll not have to worry about getting started immediately when you sit down to write. No matter what evil plans procrastination has against you, the tricks in the book will help you blow it away from your writing life. Believe me, the best way to paralyze procrastination is employ mind games and trickery against it. There are two things writers usually do when procrastination waylays them. They either avoid working or if they manage to get going, they get hit by procrastination along the way and are overpowered in such a manner that they end up quitting or delaying completing their work. A main reason why they become easy meat for procrastination is because of their attitude towards their work. If it’s work they don’t have any or much passion for then procrastination rules the day. If it’s work the writer wants to exhibit a high standard (usually to satisfy somebody else) or to match that of an existing work, procrastination will start flexing its muscles and wait to deliver the killer blow. In short, writers must understand that procrastination is not an external force that takes delight in attacking writers at its whims and fancies. It attacks you when you provide it with enough ammunition to do so. It’s your attitude towards writing that invites or shut out procrastination. Think about the areas in your writing life that procrastination doesn’t intrude. Does procrastination bother you when you reply an internal company email? You know they aren’t in a position to actually judge your writing. You know that they are only interested in the message. So, you don’t feel the pressure of coming up with a perfect email reply. You know everyone in your department uses normal English, with bad grammar or poor sentence construction and so in the effort to get the message across. Why can’t you apply the same kind of thinking when it comes to something more serious, like writing an article or an ebook? The problem here is you start imagine your reader as someone who’s more capable than you’re – in a position of higher authority who will take a look at your work with an unimpressed eye. They are sure to find faults with your writing. Once this thought creeps into your mind, you start questioning your ability to deliver. When you have doubt in your own ability to write (even if you’re actually capable) or you doubt the quality of your writing, then procrastination moves in for the kill and has the last laugh. To help overcome this shortcoming, I would like to draw your attention to Issac Asimov’s mindset when it comes to writing. As you may already know, he was a prolific science fiction writer. Although many regarded him as a genius, I don’t think that contributed to his prolific output. There are many geniuses out there who are just ordinary when it comes to writing. They produce very little writing or none at all. 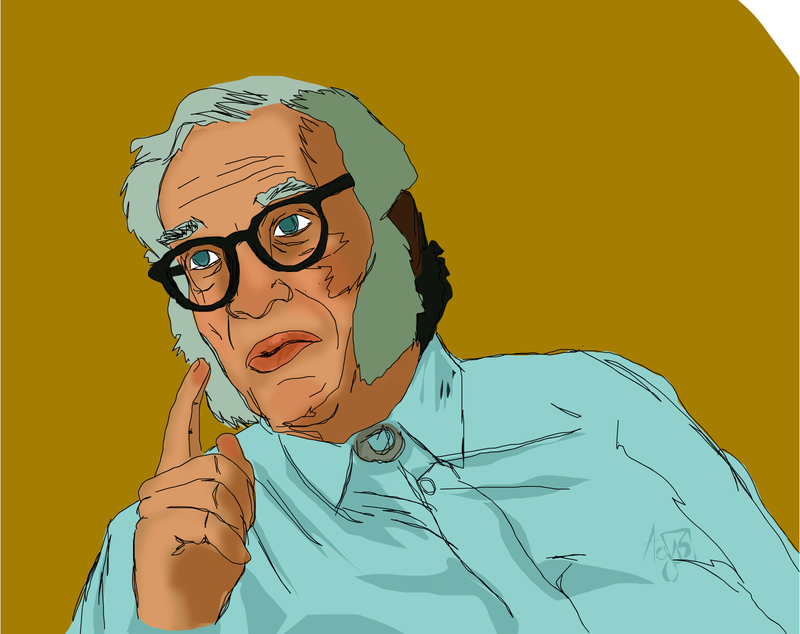 Asimov found a formula that enabled him to beat procrastination and start writing prolifically. I personally think quality number two is the most important weapon to have to beat procrastination. Procrastination doesn’t exist in our dictionary when we write without doubting our writing quality. There are many out there who know they don’t produce quality writing, but they keep on churning work after work. That’s because they don’t doubt their writing. They start off writing feeling their writing is really useful and badly needed by the readers out there. Well, this doesn’t have to be true actually. You don’t need statistics to prove it. We just need to believe it when we are writing. Have you heard of writers who don’t read reviews of their work? They are actually busy working on the next project. Whether it’s good reviews or bad, they aren’t concerned. What matters is that they regard their work as useful and nothing else matters. So, these kind of writers have no problem in starting and finishing whatever they start. The concern of publishing a piece of work, or shipping it as they call in marketing circles, overrides the concern for quality. They ship no matter what. Many, especially literary purists, have run down the writing Issac Asimov’s writing quality. It’s not that Asimov doesn’t have the capability to write in a literary style. He has consciously chosen to write in a straightforward style to get his ideas across. A lesser writer would have been affected by the negative feedback and procrastinated on the next work. If he had he would have lost out to the handful critics and deprived millions of readers there who enjoyed his works without really being concerned of his writing quality. Recently I was listening to a podcast by an internet marketer. He was talking about creating an ebook over the next few days. Of course his technique was dictating a book and sending it to be transcribed and then editing and publishing it. That part did not interest me as I feel writing the book is faster. What interested me is the part where he mentions that you just have to put out version 1 of your product and then come back to improve it in subsequent versions. These Internet marketers swear by this approach and that’s their secret for producing products after products. Most of them have just passable writing skills but they are more focused on getting the message across than writing style or quality. I have read a good many ebooks with typos and grammatical mistakes. But they can be excusable. After all, they can be excused because they are offering more much in terms of solutions to problems in a presentable fashion, which those books published by the big boys really don’t with all the fluff and padding. The Internet marketer on the podcast said one should be out to put out a ‘good enough’ product out there instead of a perfect product. This makes perfect sense. The market is willing to accept ‘good enough’ content, just like it accepts ‘good enough’ food, movies, service and so on. It’s you who decide that the market would not accept anything that isn’t perfect you end up digging your own grave. You think readers out there would be examining every word or sentence you write. Fact is market has no time for that. Market just want the gist of your message and move on to something else. So, chances are what you’re writing is good enough, but you’re the one who is killing your progress with self-doubt. So the trick to beat procrastination is to write with the confidence that your content is good enough for the market. And whatever you do, never let doubt about your ability or writing quality creep into the picture. If you can do that, you can very well bid adieu to procrastination. 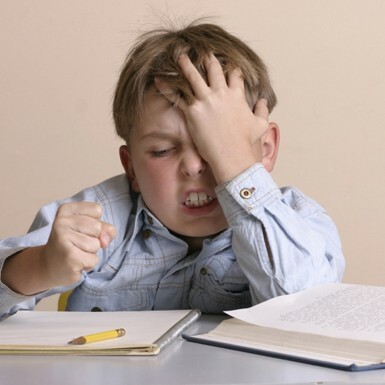 Do you have a stalled writing project that keeps popping up in your mind every now and then? Do you feel guilty abandoning it when it had shown so much promise when you first started it? Maybe you hit a few rough patches along the way before deciding to ditch it. Now you’re hearing its call for attention and are you ignoring it. If you’re, it’s time you take a look at it so that you can rid yourself of carrying a mental baggage that keeps bothering you. Yes, you would like to get started on the stalled writing project, but then, does the thought of the previous unsuccessful attempts paralyze you? If so, here are some tips to help you painlessly reopen an old wound, sew it up and heal it. Here are some quick steps to follow to that end. Remind yourself that you aren’t going to take a look at it from the point of view of the writer of the piece, lest you react negatively to it. Imagine you are now an editor tasked to offer feedback to an anonymous writer. You’re looking at the work for the first time. Since you’ve not looked at the work in a long while, it would be easy to to maintain the necessary distance from the work. Only thing is you need to reset your mind to look at it from an editor’s point of view. So, how do you easily look at it with an editor’s eyes? Think back to the time when you edited someone’s work. How did it feel? You certainly had no attachment to the work and only wanted to shape it into a good piece of writing. Keep telling yourself this before you look at the piece of writing. Some of you will find it a little tough to slip into the editor mode. You’ve got to try and get used to it. This habit will come useful in future when you produce more pieces of writing and need to clean them up. The key is to avoid recalling how you went about writing the piece of work. Don’t entertain any thoughts of it at all. After setting your mind to go into editor’s mode, you’ll have to set a time to look at the work. If you’re still reluctant to look at it, it means you’ve not fully put yourself into the editor’s mode. It’s alright if you face this problem. especially if you’re new to the writing process. Here’s a trick I use when I don’t feel like showing up at a piece of work. 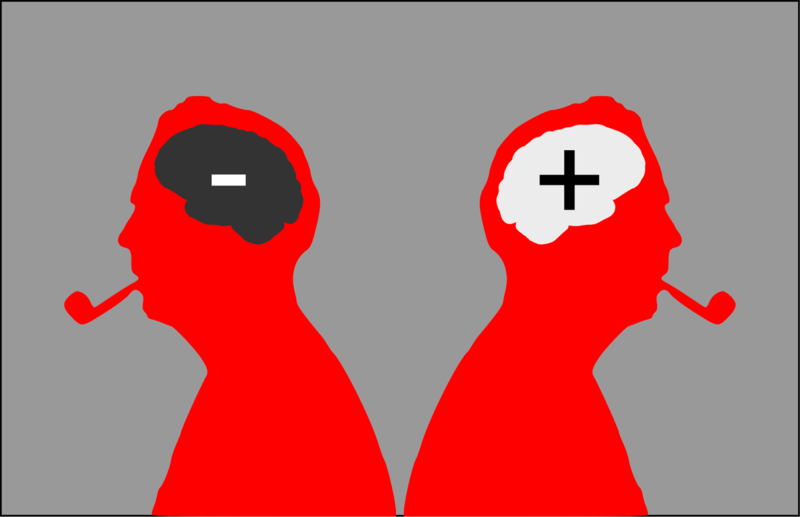 I set my mind to neutral, which means that I don;t think like a writer or an editor. I clear my mind and leave it blank. It helps if you can divert your mind to something that puts your mind into the neutral mode. What I usually do is listen to music or concentrate on my slow breathing. If you’re already feeling anxious about looking at the work, leave your work space for a while. Go for a brisk walk and come back about fifteen or twenty minutes later. Dispel any anxiety by saying that once you get started, everything will be alright. You may want to recall a time when you were reluctant to start working on a writing project, but once you got going everything clicked into gear. Now, this is an important step. If you don’t handle this well, then you’ll not make much progress in reviving your stalled project. The key here is to go through the work as fast as possible. You’re going to speed read your work in such a way that no thoughts intrude into it. Imagine you’re a very busy editor with stacks of work to look at it. It would help if you could just scan or skim through the work. I advise you not to allocate a long reading session for this. Limit it to a ten or fifteen minute session. If it’s a longer piece of work like a book or novel, you’ll have to break it down into smaller parts. Again, make sure you don’t exceed ten to fifteen minutes a session and don’t try to do it all in a single day. Once you’re done with a session close the work. Done with the reading, you’ll either like what you’ve read or not be very impressed with it. Don’t be carried away by any of these thoughts. Just praise yourself for showing up at the work you’ve been reluctant to look at. Clear you mind of any thoughts that result from the impression of your work. Go for a walk or do something physical like cleaning your house or something. Anything physical will do as long as it helps you operate in a neutral mode. After you’ve sufficiently distanced yourself from the work, it’s time to slip into the no-nonsense editor mode. This steps involves you preparing a quick report on what you’ve read. Since your’re a busy editor, you’ll only prepare a very brief report. Say three positive things about what you’ve read. Maybe you can say a) conversational writing style b) power words and c) good flow etc. Then highlight three areas that can be improved on: a) opening can be shortened to get to the point faster. b) break up paragraphs into shorter chunks c) expand on certain parts and so on. Keep the report as brief as possible. This report is meant for the writer and you may even want to ask questions to help clarify the writer’s vision of the work. You may want to ask questions such as why the writer wrote the work. What the reader takeaway the writer expects from the work is. What are the important reader questions the writer wants answered in the work. Questions can also be asked as to the subject matter of the work. For example, if the piece on the subject of procrastination if a statement is made to the effect that even successful writers procrastinate when it comes to sitting down and writing, can we have examples? You may have many improvements to suggest, but for the first round, just stick to three or four. At best limit your report to about two to three hundred words. After you have done this, your role as the editor is over. Now you switch to the writer mode. Allow yourself some time to get into the writer’s mode. Maybe a day or two. Meanwhile, prepare yourself to get into the writer’s mode. Tell yourself that you will be receiving some feedback from an editor, and you’ll do you best to follow the instructions. Tell yourself that your work has potential. It’s just a draft and it will have rough spots like any other written by anybody else. You will try your best to improve on nit and you’ll enjoy doing it. Read through the feedback from the editor. Now take out a sheet of paper and list down the action steps you’re supposed to take. The most important thing to note here is not to overwork yourself. Chances are the piece you’re working on is a personal project and you can go at a slower pace as long as you’re moving. Please be careful to break down the tasks to the smallest steps possible. For example, you may want to spend a whole session brainstorming titles That’s alright, even if ordicarily you think it’s not making the best use of your time. Allocate ten or fifteen minutes a day to work on the improvement. Work as fast as possible so as not to allow yourself to think about what you’re doing and elicit an improper emotional reaction to it that will discourage you from proceeding further. For the time being, you’ll be operating in a neutral mental state, you’ll entertain no thoughts, whether positive or negative, about what you’re doing. If you get the impression that your efforts are getting nowhere, keep going. Like Winston Churchill said, if you feel you’re going through hell, keep going. The most important thing here is not to attain a certain quality in your work, but to cultivate the habit of not giving up on a stalled project and keep working on it. At least if I keep working on it, I may see light at the end of the tunnel. Work for the sake of not giving up on what you’ve started. You not only sharpen your craft but also toughen your mental resolve in relation to writing which is one of the qualities needed to be a successful writer. Like as has been explained earlier, it’s mighty important to be working in a dispassionate mode. Whether the work is going well or not, promise to show up every day. But then you say, there’s no way I can show up every day. I have many other important things to do. You’re right. But then you don’t have to show up for long periods of time and interrupt your other more important activities. Even ten minutes a day will do. Putting in ten minutes a day means you’re showing up. Why, even five minutes a day is enough. What can you do in my five minutes, you ask? 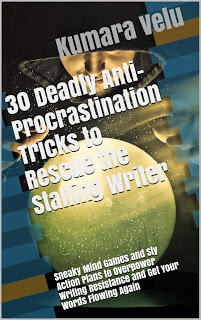 Check out my book, 30 Deadly Tricks to Crack Procrastination and you can learn how showing up for a five minutes take your far in your writing project. Showing up is important because it will keep your project on top of your mind. If you feel unmotivated to show up, tell yourself that you’re going to work on your project until you can make it publishable. You’ll keep on with it until you can make something out of it. This is my personal experience. Sometimes when working on a writing project, when I’m flowing, I keep going until I reach a point where I hit a wall. That itself discourages me from moving on further. In my excitement to finish the work as soon as possible, I’ve set up myself to hit a dead end and have a negative reaction to my work. What I do, is I stop when the going is good and keep the good feeling and continue the next day because I know where I’m headed. You may want to make a note of what you’re supposed to be doing the next day to keep you on track. Hemingway used the same trick to keep his writing going. Over the years working on numerous writing projects, I have learned an important lesson. There’s no such thing as project that doesn’t work. Someone else has done something similar to you and have completed it successfully. So, don’t act as if you’re the first person to be doing such a work and that’s why you’re not getting anywhere. If you think the project is going anywhere, don’t trust you judgement yet. It’s just an emotional reaction. Most of the time, our emotional reactions are not accurate predictions. In such situations ask yourself what else you should be doing. 3) Stop trying to be original – maybe you should use an existing work as a model and provide your own spin to it. I believe that if you’re excited enough to start a project, there’s something to it. Sit down and think what got you excited in it in the first place. You may have to dig deep for answers. Recently, I started a novel which involves a sales girl who marries a doctor who later disappears from her life. I even had the ending in mind but the work wasn’t moving. Then I asked myself, what got me started in the first place. Of course the basis for the novel was a news report where a doctor was arrested for molesting his patient and a charming and enthusiastic sales girl I met selling organic products. I tried to get the novel moving on these two foundations. Later, thinking hard about it, I realized that it’s not about the doctor or the sales girl. It’s about the individual in conflict with the community. Can the individual break free of the community and realize her true self herself although what she does isn’t approved of by the community? Once I found this golden thread, I knew how to restructure the novel. So, try to find out what’s your work about. What philosophy or message or theme are you trying to explore in your work. Maybe this will fuel the work to its completion. So, you’ve decided to keep working on your project no matter what. You’ve also decided to show up every day. After a while, you may really be wondering if you’re really making any progress on it. You want to see progress so that you’re motivated to work on it. To motivate you to move ahead with the project, it’s essential that you can see your progress. So, I would recommend that you keep a record of your daily progress. Have a kind of a progress chart in a spreadsheet or something. When you see a list of activities completed, it will spur you to keep going. As long as you’re moving you’re fine. Remember, reviving a stalled project is not easy because oi your emotional reaction to it. But once you overcome it and get moving, chances are you’ll successfully completed. If you’re finding it difficult to get started on your stalled writing project, ad need some assistance to get you moving, check out 30 Deadly Tricks to Crack Procrastination and Start Writing the moment you face the Blank Page. It takes great effort to open a rusty door, once you prise it open and oil it, everything is going to be smooth again. : Aandones housing project, taken over by a new developer. Most of us work on writing projects we love, related to subjects or themes we are excited about. But there are times when we are compelled to undertake projects that we aren’t excited about, can’t lend our hearts to. It could be a college assignment, a work-related writing task sanctioned by your superior. The first thing we want to do when faced with such a situation is flee from the challenge. We try to delay working on the project although we know we have the knowledge to finish it. Finally we when deadline day is around the corner or we receive reminders as to the completion of the task at hand, we force ourselves to sit down and finish it, grumbling and fighting resistance. The feeling that accompanies us at this juncture is ‘let’s finish it and get it out of the way’ and hope another similar project doesn’t turn up for good. Hoping another project doesn’t turn up for good? That’s unlikely to happen. There will always be projects where you can’t put your heart into. So, instead of fretting and complaining let’s find a way out so that we can eliminate our resentment and anxiety plus the guilt of avoiding it. 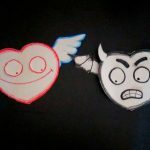 project was explained to me, my heart reacted in a negative way to it. That’s not my cup of tea. I love writing stories and articles and ebooks that inspire and instruct. nothing. The work has still got to be delivered. Here are some techniques I used to get started and finish the project. Chances are you’re resenting working on it because of a previous unpleasant experience working on a similar project. If you sense such a thought creeping in, shoot it down immediately. Imagine this is the first time you’re working on it and you can do it. Your previous experience doesn’t count here. If I find that I can’t avoid thinking about it, I tell myself that, it’s no big deal because I’ve successfully handled much more ‘boring’ projects before. So, why worry when you have the experience? To avoid thinking about the project and make negative thoughts rub salt into my lack of interest and give rise to procrastination, I immediately opened Google Doc and started writing down the brief and put down the main headings of the business plan. It took me less than an hour and I knew I don’t have to tackle the issue of getting started. I’ve started the engine and only thing I need to do is keep it running. My target now – to fill up the first heading in the next writing session. I don’t have to worry about getting started. Moral: Deliver the First Blow Soonest. Look at the Positive Aspects of Working on the Project. Even if you can’t see any benefit of working on the project, take out a sheet of paper and start listing the benefits. a) Writing the business plan will give me writing practice, which is important to develop as a writer. This benefit itself reduced the resentment I had for the project by 50%. b) I would learn how to write a business plan, which would come handy later. It could be part of my writing services. Future income opportunity. c) I would learn some useful business terms which would come handy someday when I’m writing on a business subject. My belief is that nothing learned is ever wasted. It will serve its purpose one day. Never mind if it’s five or ten years later. d) I may need this knowledge in future if I plan to open a business and need to write a business plan. e) Writing a business plan will help develop the entrepreneur side of me instead of leaning heavily towards the artistic side. It will give me a new perspective in my effort to earn a living online. f) Opportunity to write in a different tone and style – Writing how-to articles and stories call for a different style and tone. A business plan will definitely call for a different style and this will help me improve my versatility as a writer. I also treated the assignment as an opportunity to use words and phrases I may not have previously used in other projects. While reading, I mentally pick up and also jot down ‘power words’ and phrases which I don’t usually get the opportunity to use on some writing projects. So, I hoped this writing project will give me the opportunity to have my subconscious throw such power words and phrases on to the page, maybe some nice phrasal verbs or idioms and such. Now, running all these thoughts through my mind, I come to the conclusion that the benefits of working on the project far outweigh the one reason I have for not starting – my dislike of the subject. I hope the next time you’re faced with a writing project your heart rejects, try to look at the other side of the coin. Don’t be surprised that you’ll end up feeling ashamed of yourself for not starting on the project and enjoying the numerous benefits waiting for you. Have you ever handled a writing project which didn’t appeal to your heart? How did you manage to complete it? 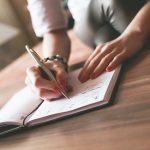 Does the thought of writing cause you anxiety? Are you afraid start or finish what you’ve started? Chances are you have built up toxic thoughts about writing to an extent that they have become powerful enough to leave you ‘paralyzed’ or immobile at the thought of putting down words on the page. Alright, let’s work on your problem. The first thing you should do is forget about your writing project. Imagine you have no writing task to work on. We are going to wipe your mental slate clean of some seemingly harmless self-defeating thoughts. You can do this mentally, but I would recommend you do it physically to see quick results. You’ll need to work on pen and paper. Take a clean sheet of white paper and have a blue/black pen ready along with a red pen. Write down the first negative thought that comes to mind when you think of writing. My sentences don’t come out well. Now, take out the red pen and cross it out. My language isn’t good enough. I’m not sure if I can finish this piece of writing. Cross that out. Write all the negative thoughts that are stopping you in your tracks. Cross the sentences in such a way that you can’t see them. Imagine these are the sentences written on the slate of your mind and see them disappearing. An alternative method would be to use the pencil and erase method. Write those same sentences in pencil. Then erase the sentences until you’re left with a clean sheet of paper. Now hold the paper above your eyes and tell yourself this how your mind should look like when you sit down to write. Do that every day before you start writing. It won’t take you more than five minutes and you’ll start your writing day with a positive feeling. 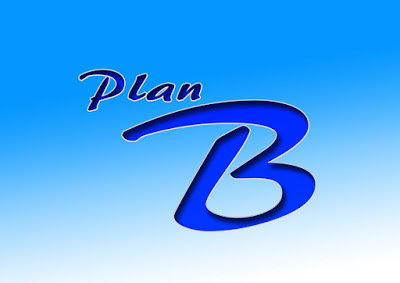 Without realizing it, you may make mistakes when writing a business plan. While these mistakes may seem minor to you, it may be viewed seriously by the potential financier. You certainly don’t want these errors to nullify your hard work and defeat the whole purpose of the plan. The Executive summary is probably the most important part of a business plan. Upon reading it the potential financier should be spurred to read further on . You could do well to focus on the core of the business idea and explain why it would be successful, emphasizing on unfulfilled market needs. Avoid including charts or tables, which would only take up space and distract the reader. Remember that bankers and investors are busy people. Give them what they want to hear and you’ll create a good impression by having an executive summary that gets to the heart of the matter. Among others,focus on the unique ways you plan to market your products/service sand how the management team would spur the business before forecast the financial returns. Put yourself in the financier’s shoes and figure out what he or she would like to know. Take the trouble to ensure that the layout is pleasing to the eye. Have your diagrams and charts in their proper places, so that they contribute to your message. 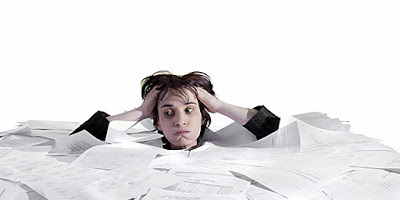 In your effort to make your business plan lengthy enough, avoid fluff and irrelevant content. As far as possible don’t repeat verbatim what has already been said. If mention is required, do so briefly. While you can mention your expertise or prior experience in the business, don’t overdo it. Instead, spend more time explaining how the products and services would add value to potential customers and explain why they would welcome such services or products. Would they have to spend less than what they are already spending? Will they be getting a better product than what is already available out there in the market? It’s better to be transparent when it comes to the company’s current commitments. Is it obtaining funding from other investors? Any pending legal issues? It would be advisable to reveal this to potential investors or financiers and explain these unfavorable aspects rather than having them find the ‘unsavory’ information through other sources. Hiding such information which is later exposed by the financier would not only damage your company’s reputation and but most likely kill your chances of securing financial assistance. Instead of vaguely describing the products and services. Provide a broad description then go on to explain the products and services that you would consider are unique offerings to the market. Don’t just say you’ll create or secure any product that the market wants. Show evidence of the knowledge of products and services the market really needs. Investors would not be impressed with lengthy explanations of the company’s future potential . Instead they would like to know its current performance, the challenges and the issues it’s confronted with presently. So, talk too much about of the future at the expense of the present. Don’t make vague and unsubstantiated statements about the market. Back up everything you say with solid evidence as far as possible. Don’t assume market information is general knowledge to investors and bankers. You want to give the impression that you’ve studied and know the market well. Don’t, for example say, there is virtually no competition for the business you’ll be starting. You’ll have a hard time convincing potential investors and bankers. Make accurate statements about the market and explain how your company will adapt to the demands of the market. Back up your statements with evidence from reliable third party sources. To impress your reader to invest in your business you need to be clear about how you’ll be generating revenue for the business. You must have thought this out thoroughly before writing the business plan. The investor would like to know this from the Return on Investment angle. You can’t just say revenue will be generated by the usual marketing channels. You have get to spell it out. For example what percentage of the revenue will be generated through walk-in customers and what percentage via online orders. In your attempt to impress the investor don’t publish unrealistic sales forecast. You’ll definitely be questioned on this and it would be embarrassing if you can’t justify your predictions and find yourself groping for logical answers. Don’t assume that you only have to start your business and customers will make a beeline to your door. You’ll need to show the investor in your business plan that you have a solid marketing plan which has been comprehensively thought out. You’re out to prove you have a solid team behind the business. You want to prove that they have the relevant qualifications and experience to help the business achieve its goals. Include as much relevant biographical information on the key players in the management team. Avoid experience and qualifications, though impressive but don’t really contribute to the business. If the business needs a support team, highlight briefly that the ability of the team you have at hand. Avoid mentioning you’ll be investing no money in the business and will solely rely on external funding. This, if anything, indicates lack of faith in the business and hence unwilling to take the financial risk that may accompany it. Plan a sizable investment in the business with the help of family and friends. Your own investment shows your commitment to the business. Make sure you don’t ignore such financial statements as income statement, cash flow statement, and balance sheet, among others, for at least a period of three years. They should be carefully prepared to reflect the viability of the business. Also make sure the amount requested reflects the needs of the business and show that spending would be undertaken on important areas that would develop the business highlighting matters like acquisition of equipment and recruitment of specialist staff. Nobody writes a perfect business plan. A good business plan is one that has a few errors which would not adversely affect the judgement of potential financiers. One way to minimize mistakes in business plans is to start preparing as early as possible. 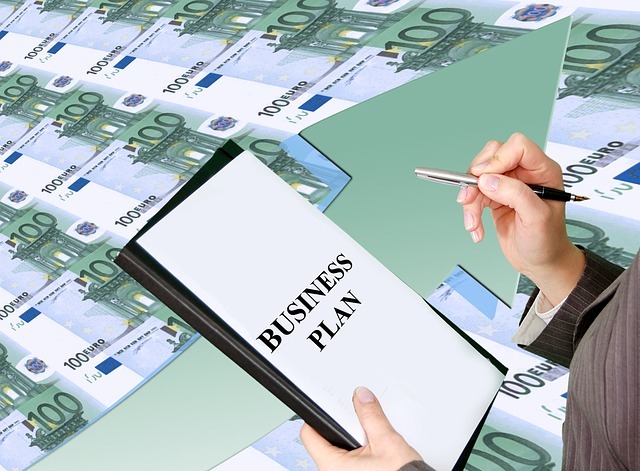 A useful tip is start preparing the business plan even if you don’t need it at the moment. It’s like having an umbrella ready before it rains. You’ll find that working on a business plan sharpens your understanding of your business and prepares you for eventualities. This is merely a checklist. Remember, that you’re writing a business plan not to please yourself but to impress, convince and persuade a potential financier. 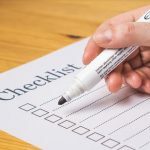 So, make a checklist, based on your own understanding of what would not impress the the financier. By doing this you consciously minimize mistakes that will you let you down when you present the business plan. Alternatively, imagine you’re the investor. What matters would you like highlighted in the business plan? If you’re the only one working on a business plan, get another pair of eyes to go through it. Preferably get someone experienced in preparing business plans whose judgement you trust. You have the ideas all worked out in your head. You even have an outline. You think you know where you were going. You sit down to write. You manage to start but find the going tough. You give up minutes later. You try again for the next few days. It’s painful. You simply don’t have the energy to continue. You throw in the towel. You’ve completed a piece a writing. It was an unpleasant strenuous experience, to say the least. You would like to write but secretly wish you don’t have to. The mental pain it had caused you is simply too much to bear. No, you don’t think you’re facing writer’s block. You simply don’t have the energy to continue. You admit you lack the stamina to write. The problem here is your writing machinery isn’t well-oiled. It’s rusty from lack of writing practice. The first thing you should do to set things right is to set aside your writing project (if you can afford to). Admit that you’re not well trained for the big game. You’ve got to build your fitness to last longer in the act of putting down words on the page. 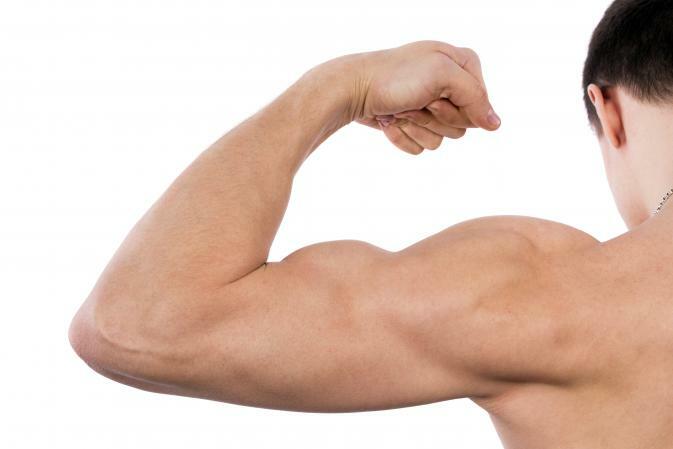 You need workouts, stretching and limbering mental exercises, to first loosen and then strengthen your writing muscles. Once you’ve enough workouts, you’ll be better prepared to take on the writing task. Treat the fitness regimen as a sportsman or athlete would as he or she prepares for the big game or event. 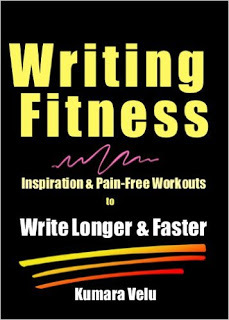 Here are two simple workouts that will help you keep you in top shape for writing. This is essential a ‘writing’ muscle-loosening exercise. I call it zero inertia writing is because when doing this workout, you’ll allow no inertia to creep in when you start to write. You’ll write for the sake of putting down words, any words, on the page. You’ve put down words on paper before and you’re going to do it again. Only this time you aren’t going to be worried what words will be landing there. Any word would do. Even if it doesn’t make sense. You goal is not produce what is called real writing. For instance, you can start writing about what you’re feeling at the moment. Write on along this vein as long as possible. When you feel you’ve nothing more to say, jump into another topic. I was at the cinema last evening to watch an art movie. While waiting for the show to begin, a man walked up to me and struck up a conversation. He asked me what I did for a living. When I said I was a writer, he lost his temper and said I shouldn’t be at the cinema and should be back home writing…. You’re free to make up things as you go. Think like a child. Everything a child does makes sense to him. There’s no nonsense for a child. He or she simply enjoys what she’s doing without a single thought attached to it. Be a child when it comes to writing and writing will be like play to you. What are you worried about? After all, it’s play time. Continue writing. Switch to a Q & A mode for the fun of it. Q&A on anything you like. Q: Who is the best writer in the world? A: Anyone who keeps coming back to the page no matter what is the best writer in the world. Q: Is there such a thing as writer’s block? A: No, it’s another name for ingratitude. You have all it takes to write and yet you complain you can’t get started. Isn’t that ingratitude…. Jane walks into the room and throws her file on the table. John looks at her in surprise and tosses her a chocolate bar. She pushes it away. Yes. All unhappy people are ungrateful people. Write anything you feel like writing. Feel like writing a poem? Go ahead and write a poem that doesn’t make any sense. Write anything you usually don’t feel like writing when you face the page. The page is your playground when you’re in zero inertia writing mode. Your aim is to make writing as effortless as window shopping. In Zero Inertia Planet words spill out like water out of a faucet. They never stop flowing. Imagine you’re going for a stroll. Nothing has to come out of it. You just have to put one step after another and keep at it. Walk anywhere you like. Walk as fast or as slow as you like. Walk for the fun of it. Just like a kid who runs around for the fun of it without knowing that he’s building muscles and strength in the process. Follow where the words take you. You don’t control the words. Let all the words you have been suppressing come to the fore. Just write the first word or sentence that comes to mind and see where that leads you. If you start doubting what you’re writing, tell yourself that nobody is going to read what you’ve done. You’ve finished playing and that’s it. You may want to trash what you’ve written if you feel guilty about how badly you’ve written. My advise is don’t. Stash it away somewhere and forget about it. Believe me, no matter how ridiculous a piece you think you’ve produced, there will be some hidden gems that warrant polishing some time in the future. Don’t resort to Zero Inertia writing when your writing is going well. Treat it as a daily routine. Kick start your writing day with it and preferably indulge in it once more before going to bed. Even a few paragraphs will do. Excited about learning more about Zero Inertia Writing? Check out my book at Amazon available for a special price of $0.99 for a limited time. No More Losing Your Precious Notes. Retrieve Them On the Go with this Free Online Notepad. Have you been making quick notes here and there and then have trouble retrieving them because they are all scattered. Do you make notes on different computers and have to save them each time to yoiur pen drive and then plug it into a different computer when you want continue working on your notes. Have you wished you could have a notepad where yuou could access anywherre, even on your mobile telephone or tablet and continue working on it without having to save it to your hard drive or pen drive? If you’ve so wished, there is an online notepad in the form which gives you your own site which will then allow you to save your notes – password-encrypted. Protexcted Text allows you to keep notes in a tabbed notepad allowing you to work on many projects at a time. The best part is it’s free and you don’t have to worry about organising your notes from different places. The next time an idea strikes you when you’re working on a project, just enter it on your notepad at ProtectedText and hit the save key. For that purpose, you should always keep your online notepad open when you log into your computer. If you’re blogging, you can start typing away at t on the your notepad which is distraction-free and even reduce it to a smaller size if you’re psychologically intimidated by a klarge canvas. I foind this a good tool where you could bang out a first draft of anything to be later copied and pasted into my word processing program or blog post editor. It’s a simple tool to use and if you’re someone who’s tired of tracking your notes across many places, you would certainly love this tool. Do You Have the Guts to Write Without Immediate Gratification Like Wilma Wall? Cure for writer’s block – go ahead and write a rotten draft. You’ll enjoy polishing it later. Your love of writing should overpower the disappointment of rejections. If you’re a fiction writer, fall in love with your characters and be them. How long are you willing to wait before you see the fruits of your writing efforts? 5, 10 or 15 years? 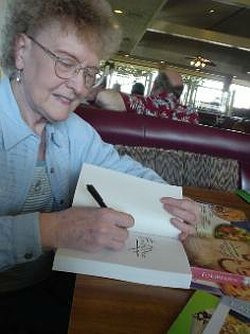 That was how long Wilma Wall waited before publishing her first book in 2004 at age 81. Although she was an avid reader, it was not until she visited the country of her birth, China,, that she was impelled to write. She started writing novels at the age of 55 drawing from her rich treasure-trove of experience. Her prior writing experience was only limited to writing stories for skits, pageants and puppet shows. To tackle a novel she took writing classes where she learned how to accept her instructor’s criticism of her work. Her instructor attributed her writing success to her willingness to revise her work and her unrelenting perseverance. words and it is he who has to do the work. was The Jade Bracelet. It was, however, her second published work. times before it saw the light of the day. Wilma is a shining example to those who are passionate about writing but can’t seem to find the strength to continue. The important thing we learn from her experience is it’s never too late to start despite all the disappointments. It took her years to find her story and voice and she finally succeeded in realising her dream to be a published writer. If you follow her example and set up your mind to write without instant gratification you, too, can taste writing success.